Because of all the work that goes around the kitchen, it has the tendency to look cluttered. 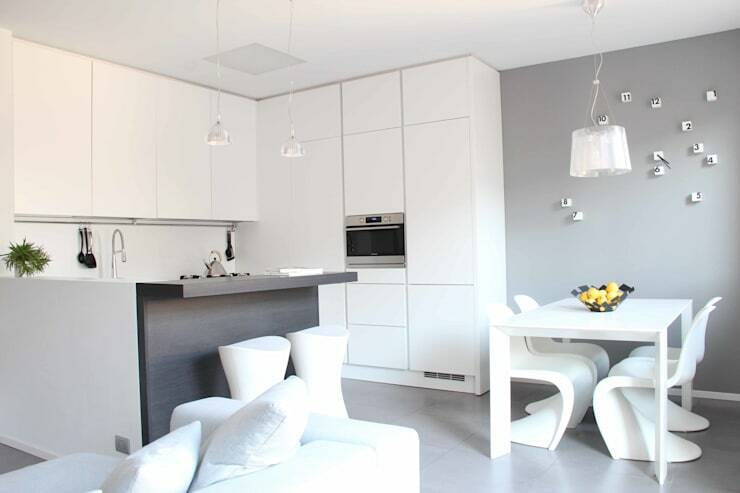 Kitchen planners will tell you that one of the best ways to avoid this is to consider a minimalist design. Here are some ideas that you may find useful. 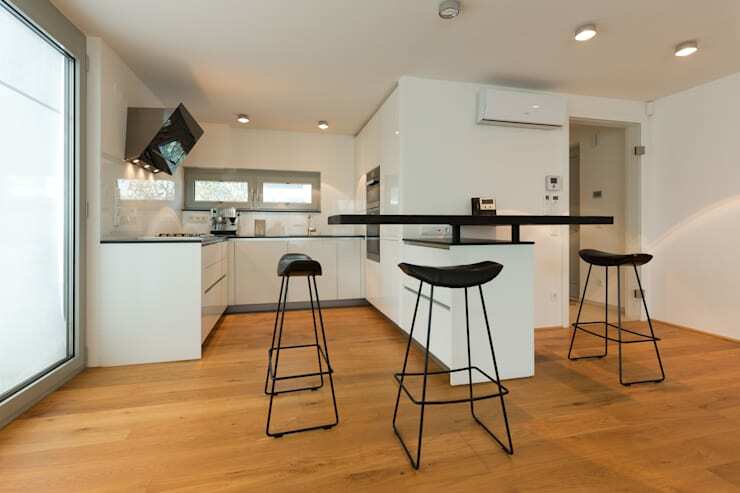 Keep you kitchen sleek and modern with handleless cabinets. This will take away the clutter in your pristine and polished cabinetry. 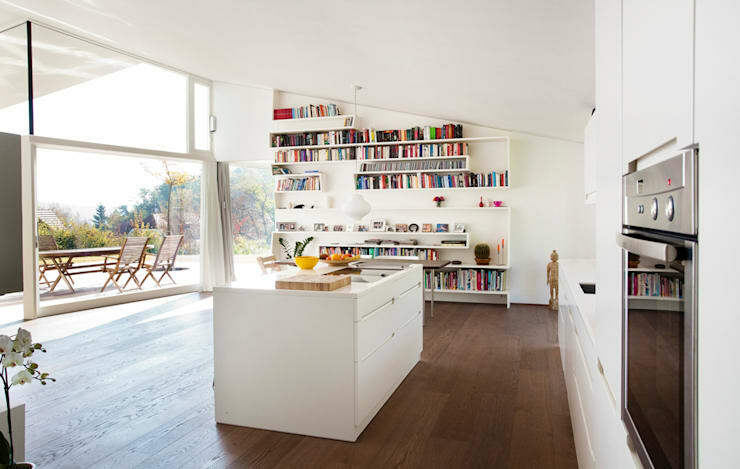 Consider an island kitchen in your minimalist design. Keep it cubic and simple like this one. An open space kitchen that connects to the dining room and living room is an opportunity to stay in the same color palette. You can never go wrong with white if you're aiming for a minimalist design. 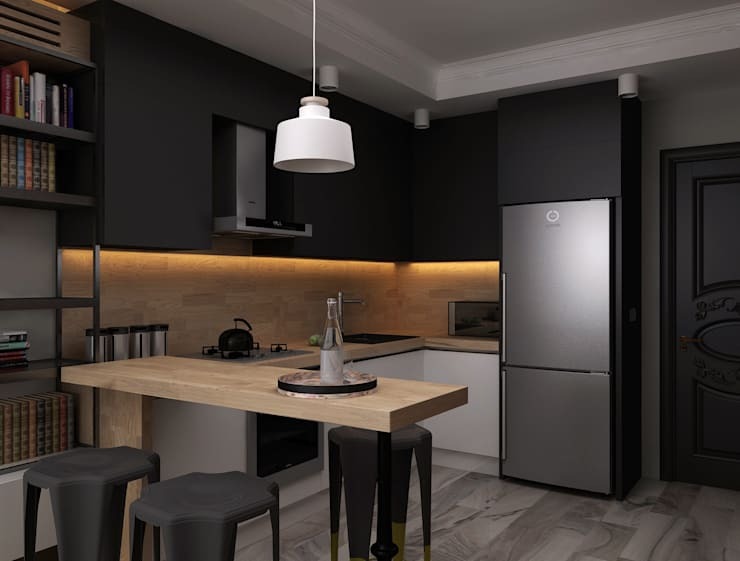 To break the monotony of a minimalist kitchen, strategically install lights that will set the tone and mood of your space. 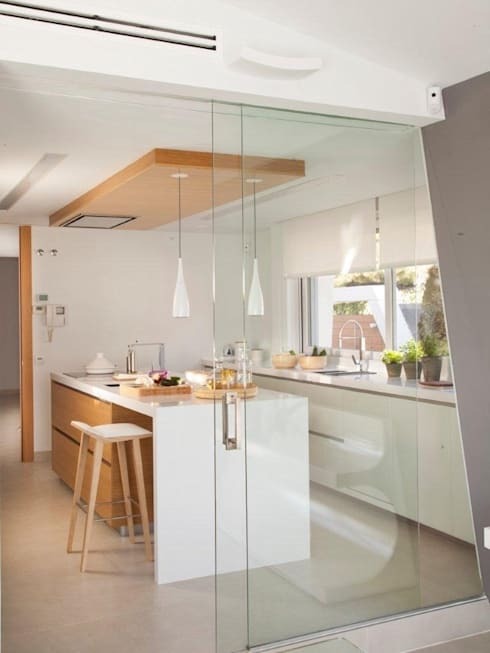 If you are keen to installing divider in your kitchen, consider a floor to ceiling glass wall. While the rest of your kitchen may be of the same color and texture, add a little surprise on the flooring to make it interesting. 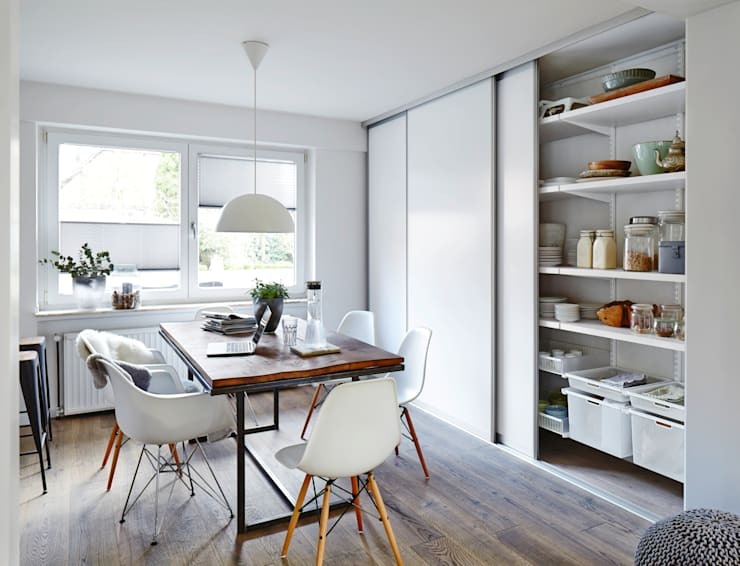 Keep the clutter out of sight with covered shelves that you can install around the kitchen. The geometric shape of these bar stools add interesting pattern and contrast against the plain wall or simple furniture. 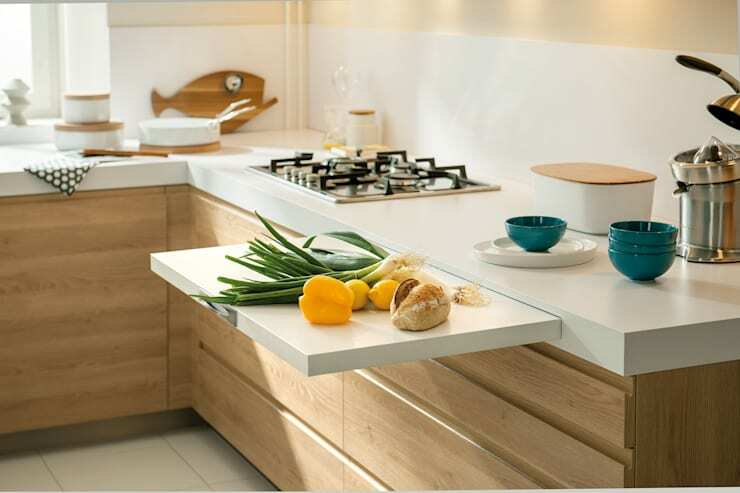 In order to keep the minimalist concept in your kitchen, add smart solutions like this removable table. Another element you can add is a sliding cabinet. 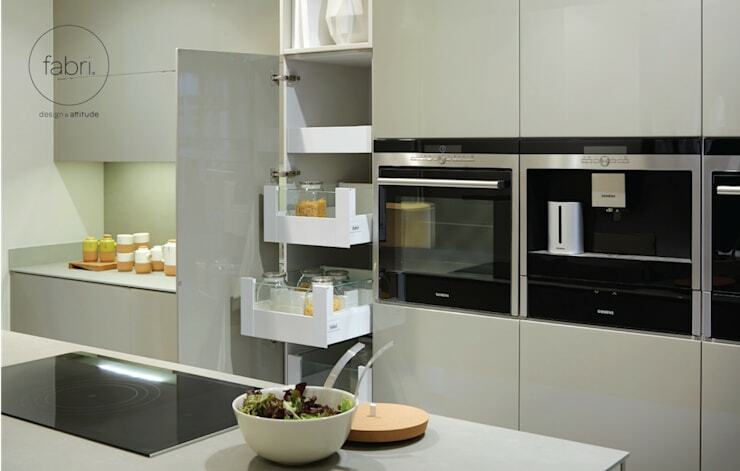 Aside from being a useful storage solution, its clean lines adds to the minimalist appeal of your kitchen. 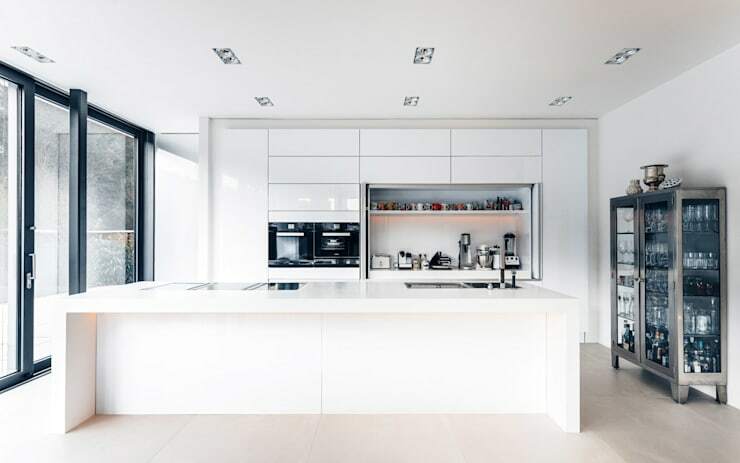 Do you feel inspired with these minimalist kitchen ideas? Which one is your favorite? We'd love to hear from you below.